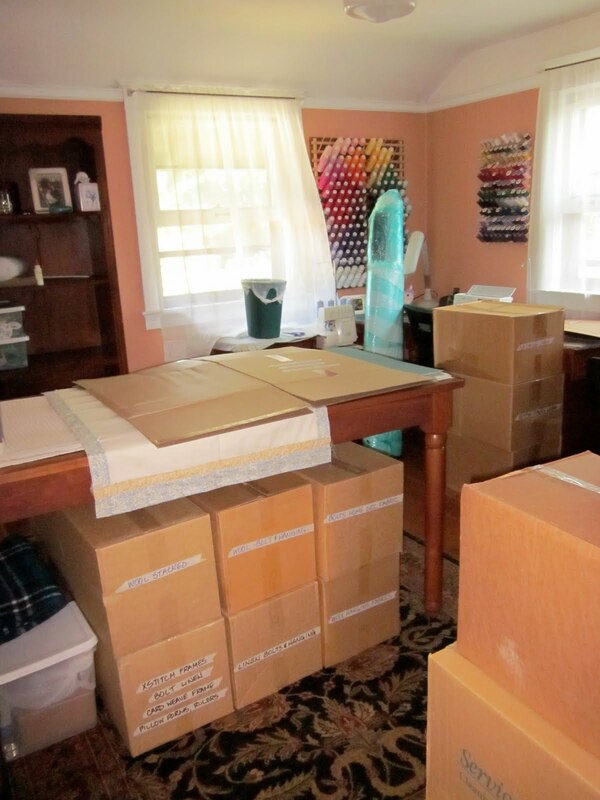 Here is how the sewing room looked on Friday afternoon after the POD was unloaded. I've spent about 8 hours over the last 2 days ironing fabric. I had an absolutely huge pile of "unprocessed" quilting fabric that I just finished ironing and folding into stacks. I'm taking this opportunity to re-sort the stacks after the move. These piles usually get messed up in moves because the piles get split to fit into boxes and I never really got around to reorganizing them after the last move. 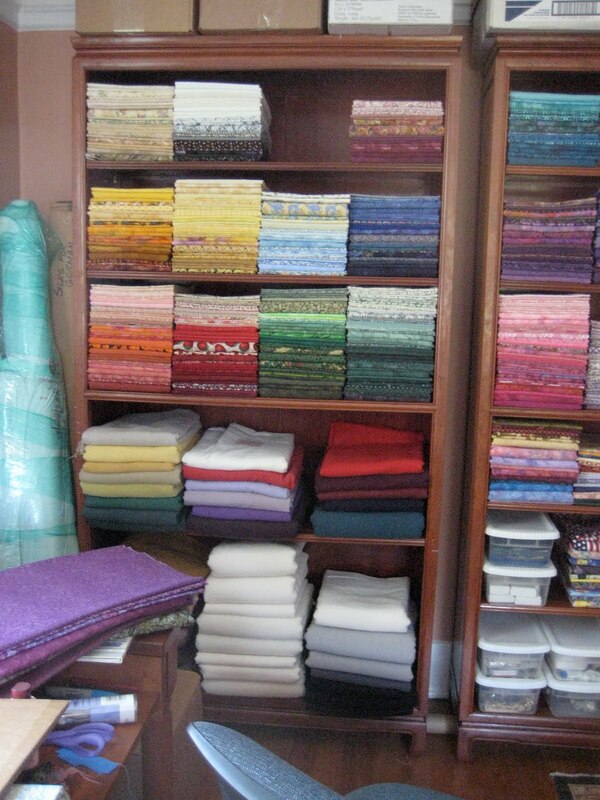 I also expanded the number of shelves dedicated to cottons because I bought way too much fabric in the last year. Luckily, I had room in the sewing room for an extra bookshelf. Here is where I am this evening. 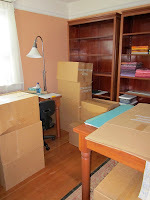 We've also spent many hours unpacking books. We have so many. Time to further thin down the collection. Wow...that's organized. I have Sterilite drawers that I stuff the fabrics into.